Ever wonder how we take a tree and turn it into a table or a crib board? These are the basic steps we take to ensure that we create maximum quality slabs and products for our customers. A tree running through the mill. 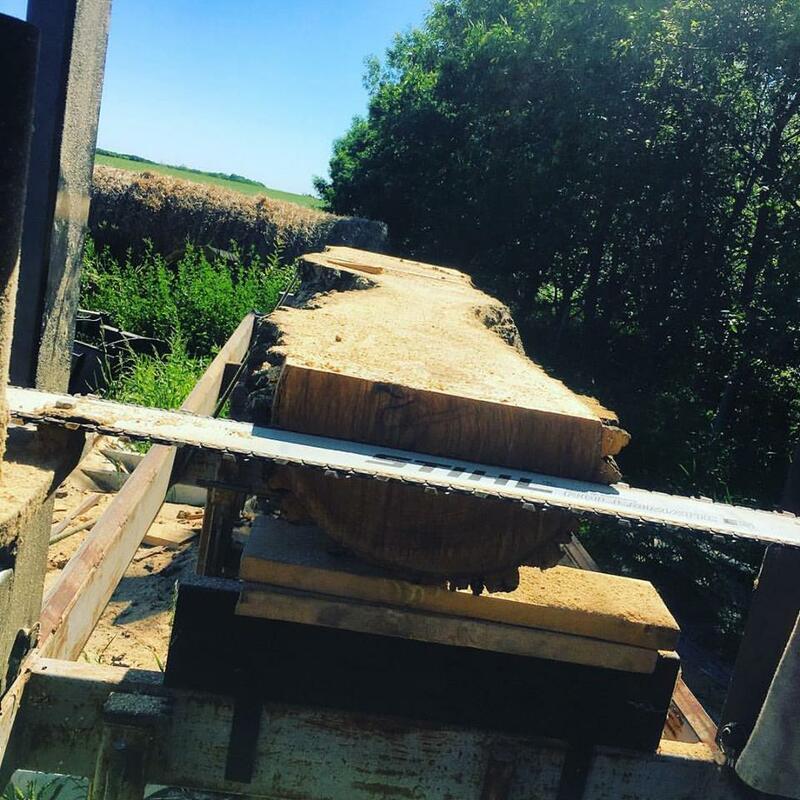 After the logs are picked up and taken to the mill site, they are "slabbed" to proper thickness. Whether it is our chainsaw or band saw unit doing the work, both are dialed in for precise measurements. With our setups being in excess of 20+ feet in length, and over 4 feet in width, we are able to cut the perfect piece for your needs. Once enough pieces have been milled, they are then placed in our wood kiln. The kiln ensures our lumber is dried to proper moisture content so it can be used in your home without you having to worry about excess warping, cracking, and shrinking. Pouring epoxy to fill a void. When the slabs are removed from the kiln, they are ready for use. During the kiln drying, the "imperfections" arise in our large slabs. We look at these as opportunities and can easily turn them into a feature of the piece. Whether it is a crack held together by bow ties, or by simply filling the area with epoxy.